Craig Jones offers a thorough, well-rounded approach to selling thanks to his vast experience in residential sales, property management and body corporate. 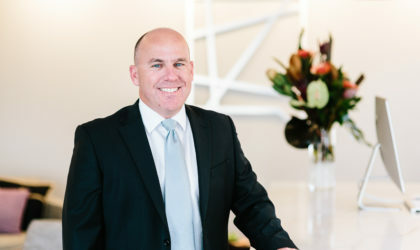 With his many years of experience working in the inner south, Craig offers a unique local perspective, and a record of delivering successful marketing campaigns for a variety of residential properties. As the principal of a leading independent agency, Craig has an undisputed reputation for excellence, and is well regarded by his many clients who appreciate his trustworthy reputation and experienced guidance during the transaction process. Craig’s astute negotiation skills set him apart from other real estate professionals. Craig prides himself on delivering outstanding results and service, and negotiating the best possible outcome for all of his clients. Combining more than ten years’ experience with a commitment to old-fashioned hard work, Craig can be trusted to get the job done. Thanks very much for getting such a good and quick result at Coorparoo. When I tell people of the success that you had by getting the good result that you did many people seem to shake their head with amazement – what downturn in the market? From the outset you quickly knew what I needed to achieve for the unit and set about bringing plenty of buyers through.I am once again grateful for this and wish you every success in the future. We recently purchased an investment property from Craig in Stones Corner for our daughter to live in whilst she attends university. Living in Rockhampton and buying in Brisbane was daunting but Craig made the process seamless. Craig provided outstanding service and nothing was too much trouble for him. I would certainly recommend anyone using Craig services in the future.